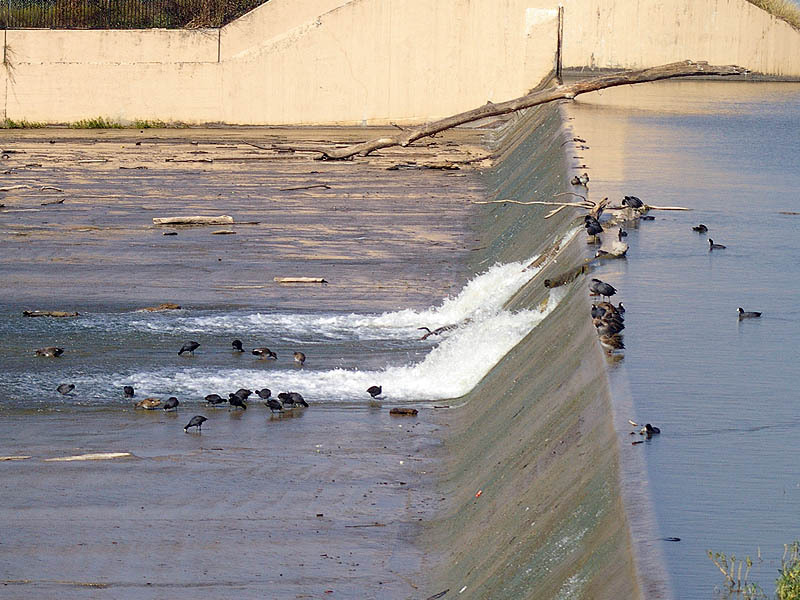 American Coots congregating and doing various “coot” things near the White Rock Lake spillway. 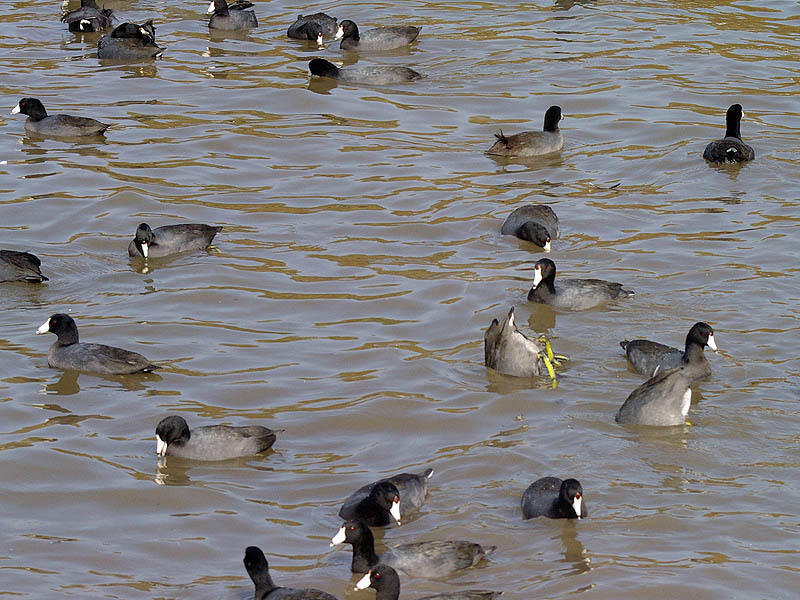 The American Coot (Fulica americana) (a.k.a. mud hen) is a bird of the family Rallidae. 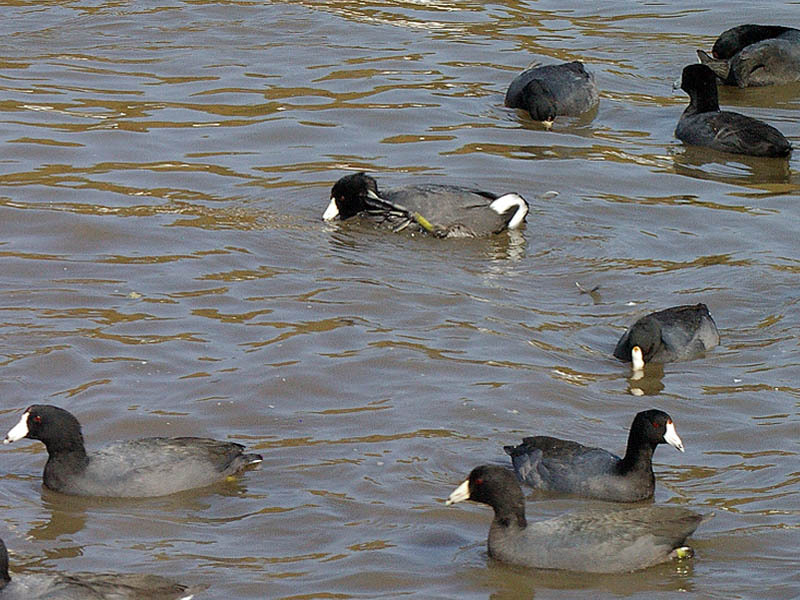 Though commonly mistaken to be ducks, American Coots belong to a distinct order. Unlike the webbed feet of ducks, coots have broad, lobed scales on their lower legs and toes that fold back with each step in order to facilitate walking on dry land. 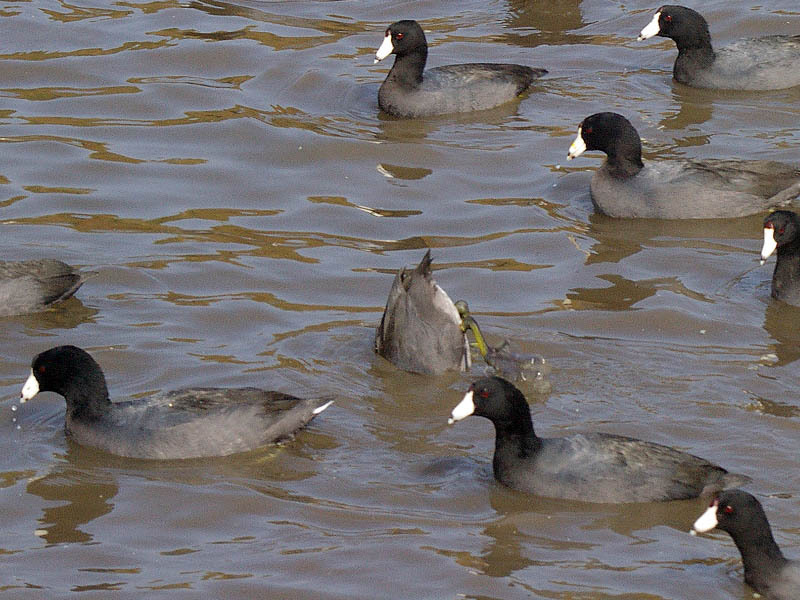 Coots live near water, typically inhabiting wetlands and open water bodies in North America. 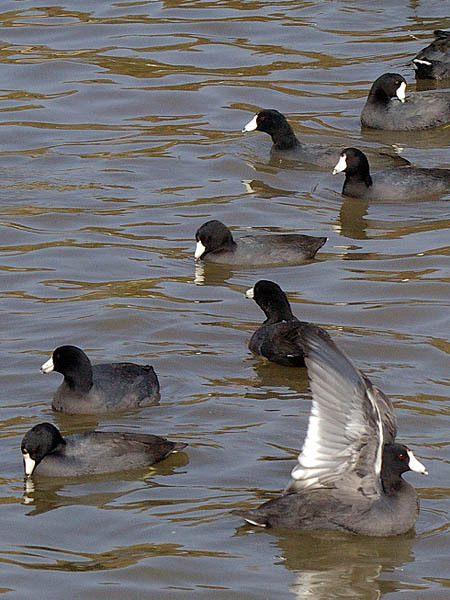 Groups of coots are called covers or rafts. 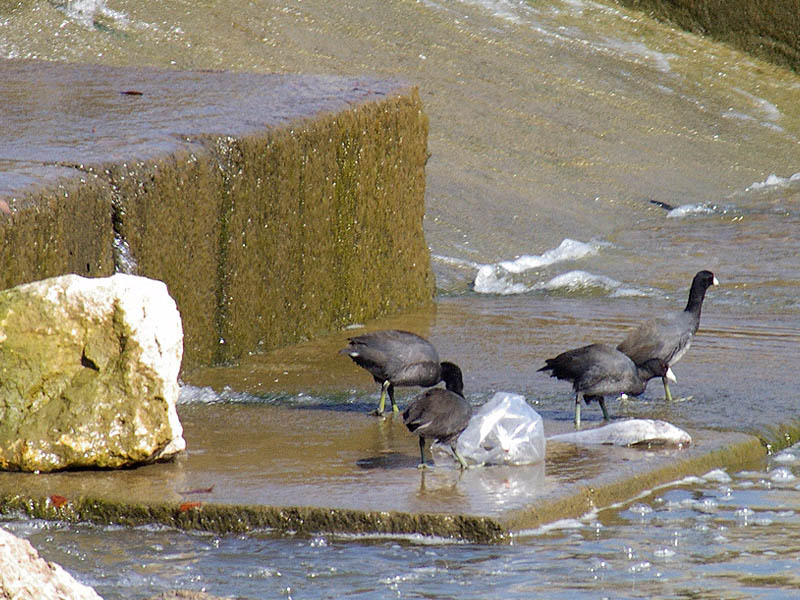 The oldest known coot lived to be 22 years old.